... these are the latest adventures of Niln's greatest heroes! In the woods north of the village of Mandril, five adventurers from the Guild of Heroes came across a cave of strange phenomena. 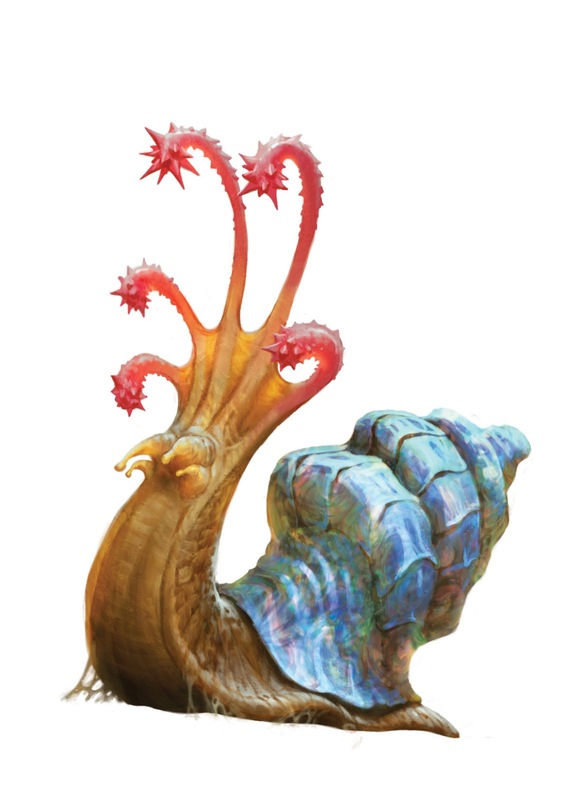 The flailsnails reversed the flow of time after being defeated at the hands of the party, presaging the strange timeline to come. Deeper within they found a temple of time, where rockfalls went back and forth, the dead returned to life and more, all at the whim of a gargantuan hourglass filled with opalescent sand. The clerics of the temple had been taken captive by Zpreznar, a heavily muscled tiefling gang leader. After dispatching some of his half-orc swordsmen, halfling backstabbers, and dwarven stonethrowers, they pushed further. A gargantuan bird-headed statue forced them into infancy or geriatracy with its amethyst gaze until its eyes were shattered by the arcane bolts of Sauron and Leonard. The final chamber held the boss himself, as well as the shimmering shell of Ulok Helxiadar, god of time. The first time they fought, handfuls of the party died by their blades, but with the power of the hourglass, they were able to persevere until their victory was complete. Zpreznar’s catastrophic plot to reverse time for the sake of his dead family was averted, preventing history itself from unwinding completely, and the day was saved. The Guild of Heroes recently bought a warehouse that used to belong to a dragon. Venturing inside to see what kind of treasure it contained, the heroes found it to be infested with mimics, shapeshifters that imitate treasure to lure adventurers to their doom. The heroes fought mimics and a group of wererat burglars before the whole building was revealed to be a giant mimic, which swallowed them into its acid-filled stomach. Between the battles and being swallowed, Theirastria and Oloric both came close to death, and were only saved by Aerith and Portia’s quick thinking, along with some healing potions found in the warehouse. Inside the giant mimic’s stomach, the party had to battle a swarm of its smaller cousins, while avoiding the stomach acid on the floor. After escaping the creature’s mouth, they fought it in the streets until an unexpected ally arrived. A many-eyed beholder showed up out of nowhere and disintegrated the entire building before disappearing as mysteriously as it arrived. Our band of a adventurers was meeting for a night of festivities with the chief recruiter for the guild, Ander Kingsley, when they were approached by a mysterious stranger who introduced himself as an emissary for the great Vert Von Palor, king of the spice islands. They agreed to travel to meet with the King in an effort to secure an alliance against a mysterious enemy know only as the abominations. The party was waylaid at the port of Nilneer, where the Guild’s recent actions had made them unpopular. Eireine was able to talk the group out of trouble and avoid bloodshed. The rest of the journey was uneventful, except for the emissary asking them to declare who amongst them was the bravest, the wisest, the cleverest, and the most stalwart. Von Palor’s test was revealed to be a complex challenge of skill and coordination. James Hunter, Anclagon, and Silas faced down four elementals, foes well beyond their ability. They were also under constant threat of immobilization from an endless wave of automatons, with only Flint standing guard. Draw fired potion to aid his allies and obstruct their enemies while Eireine controlled the booby traps the lined the arena. Together they struggled mightily, but fatigue began to take them and several were knocked out of the fight. Then, without warning, the challenge ended. The elementals disappeared and the party was left alone in an abandoned fortress. Why they had been brought, what purpose their suffering could have served, no one was sure. As they sailed back to Niln, only the sharp eyes of James Hunter could make out the sinister silhouette standing on the battlements: a giant, a lord of the Empire that served so often as the Guild’s adversary, watching them disappear across the horizon.